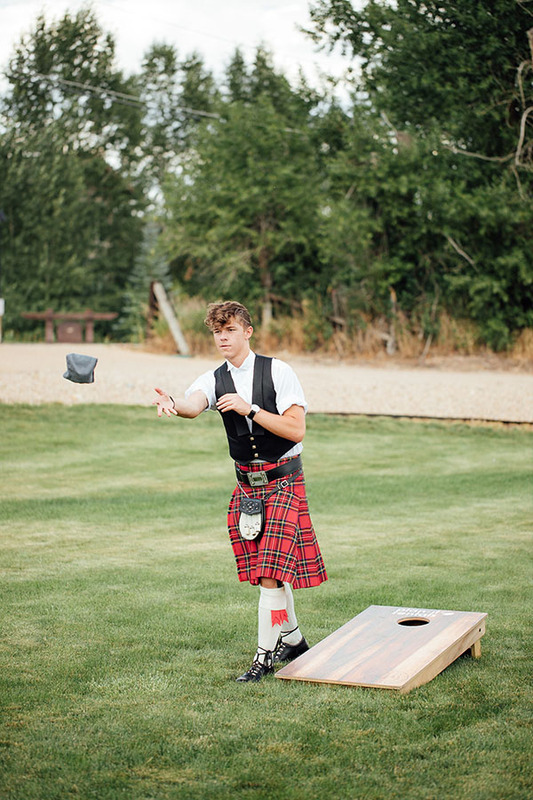 Great Scott(land)! 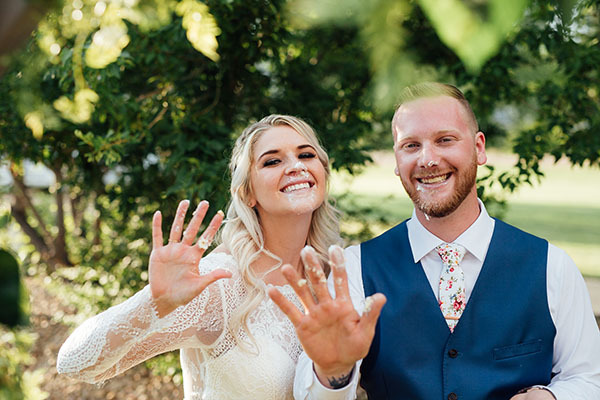 Alec and Lindsey Olsen are something out of a fairy tale. 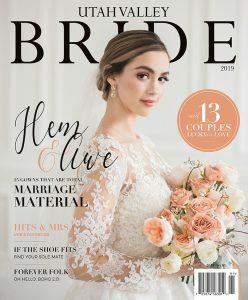 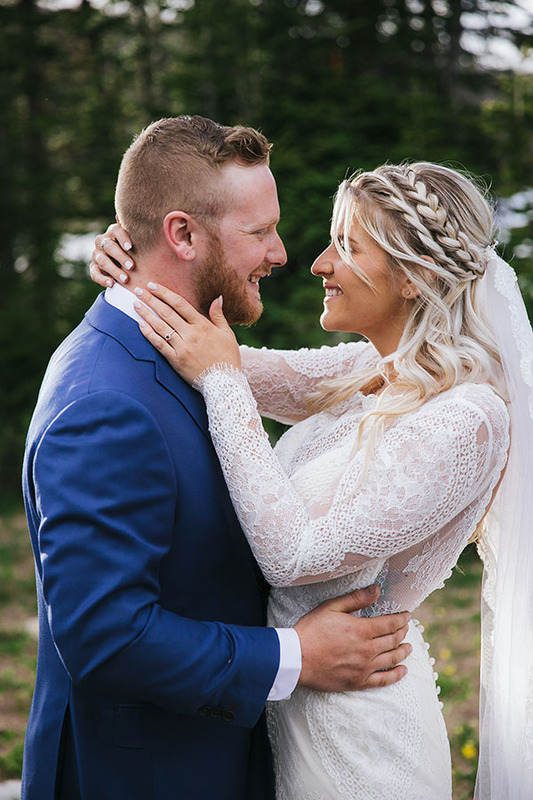 The high school sweethearts got engaged at the McRae family castle in Scotland, which is the most photographed castle in the world. 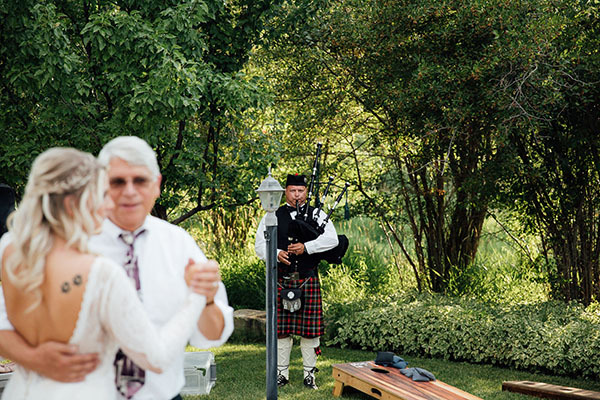 Lindsey is half Scottish, and her mom’s maiden name is McRae, so it was extra sweet and personal. 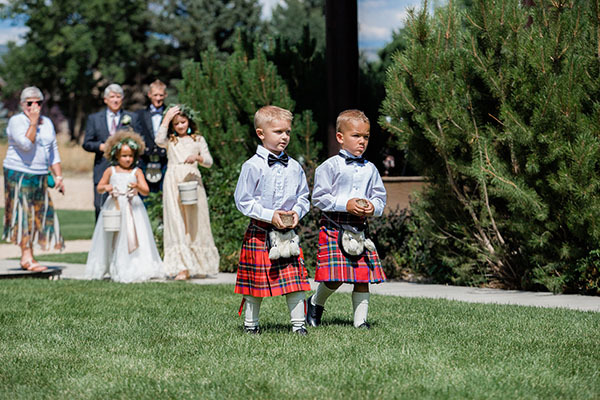 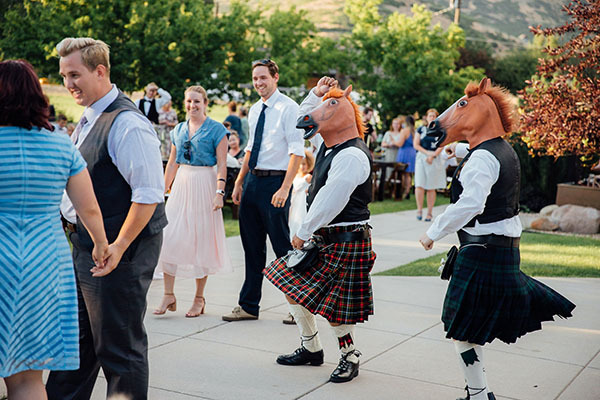 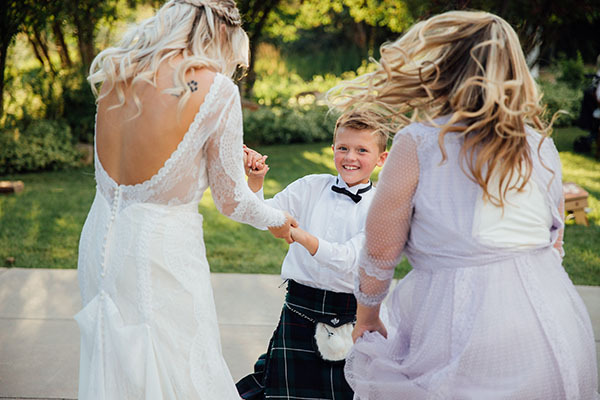 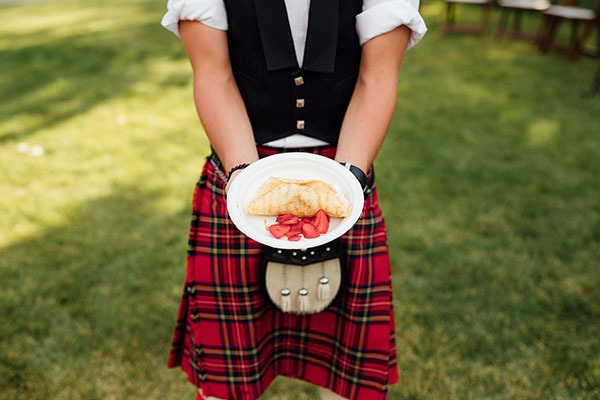 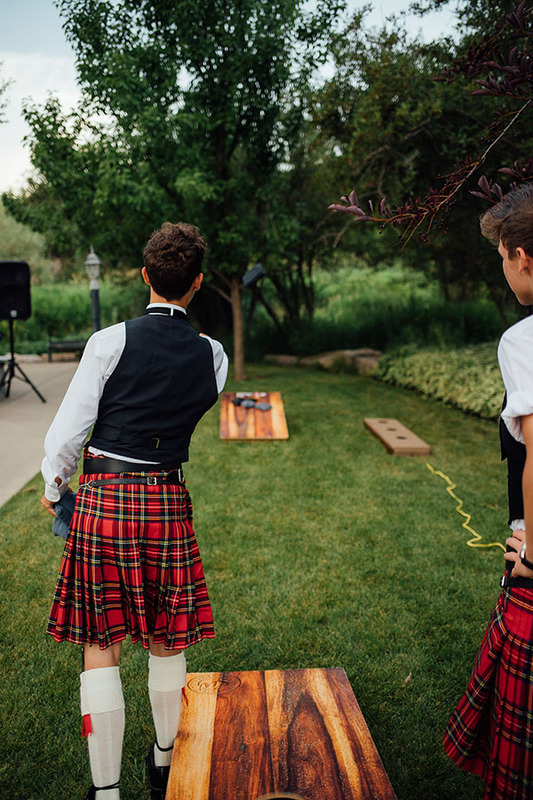 That Scottish magic continued in their wedding, with all the boys in the family wearing kilts. 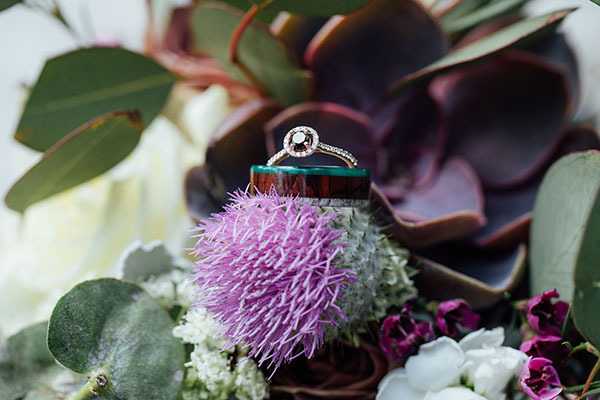 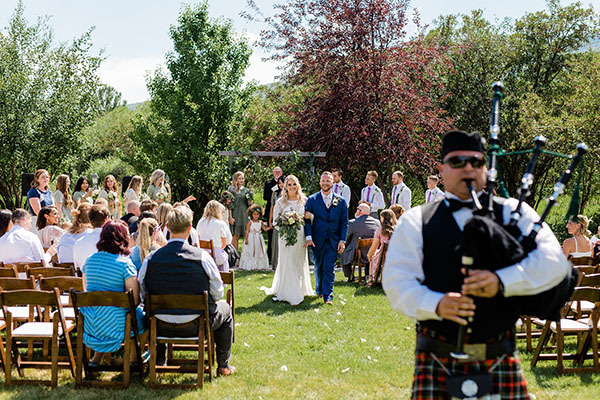 Thistles were imported from Scotland for the bouquet, cake and center pieces. 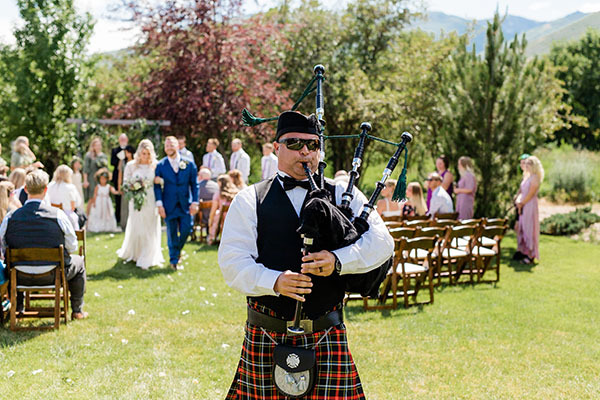 And Lindsey’s oldest brother, Steven, played the bagpipes throughout the day. 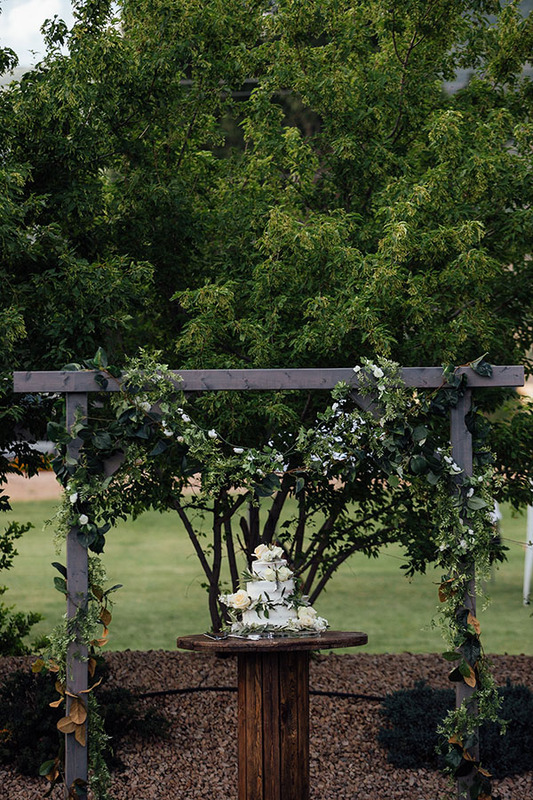 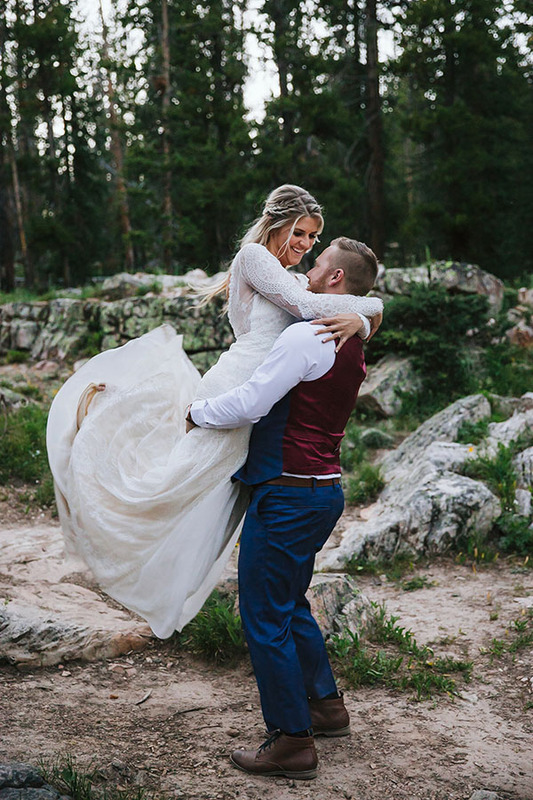 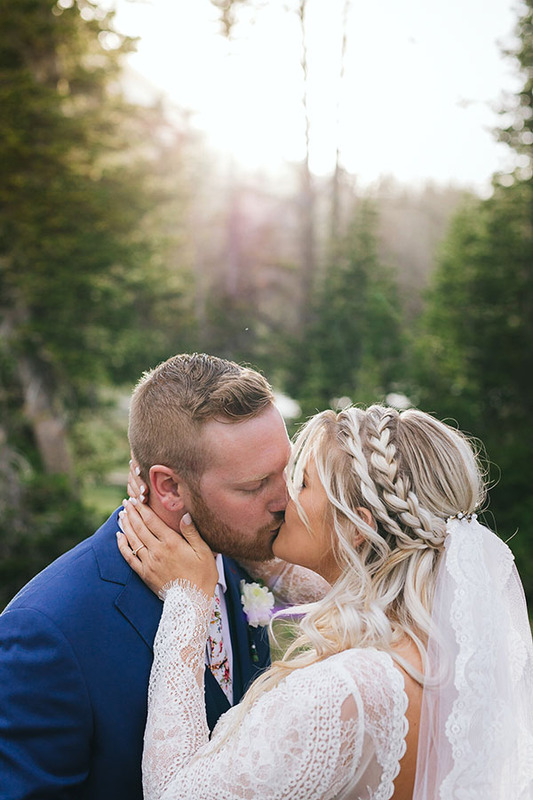 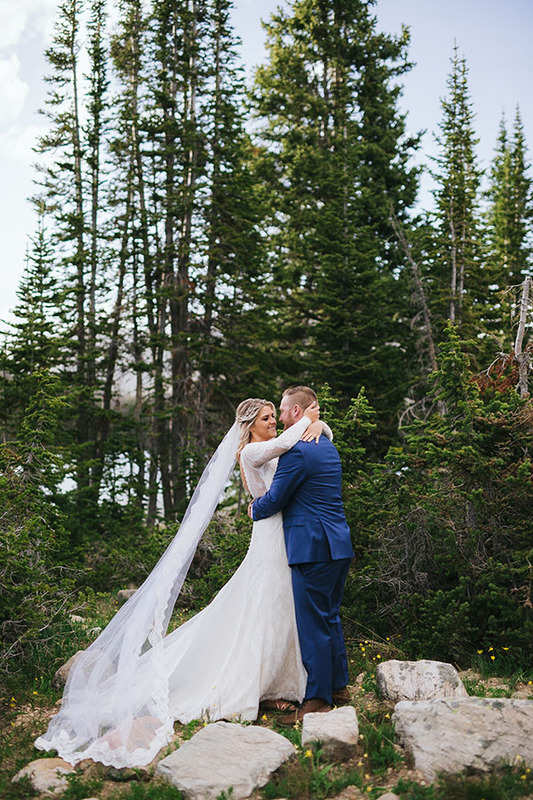 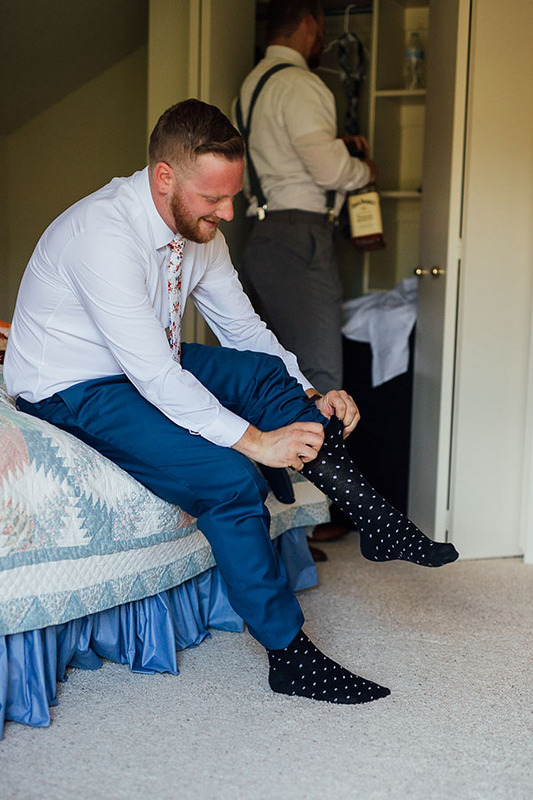 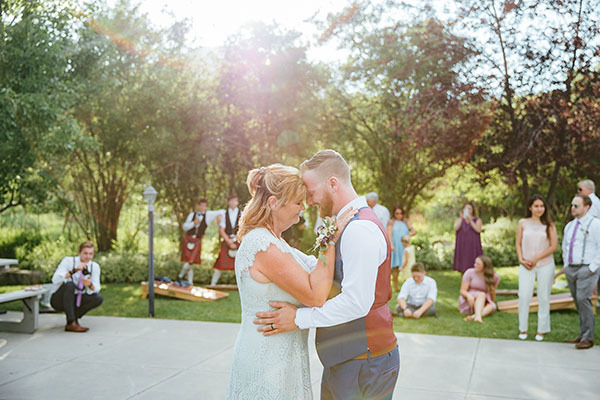 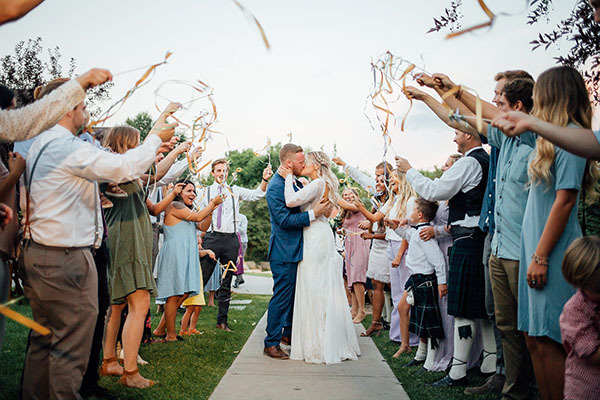 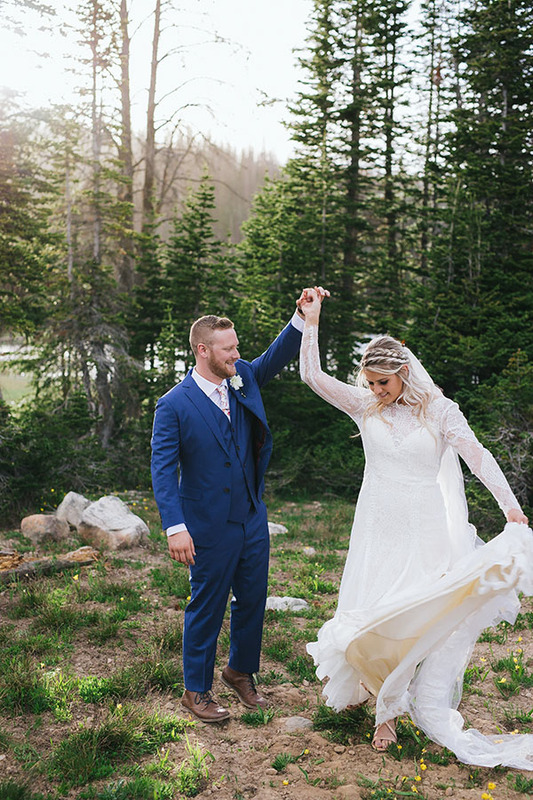 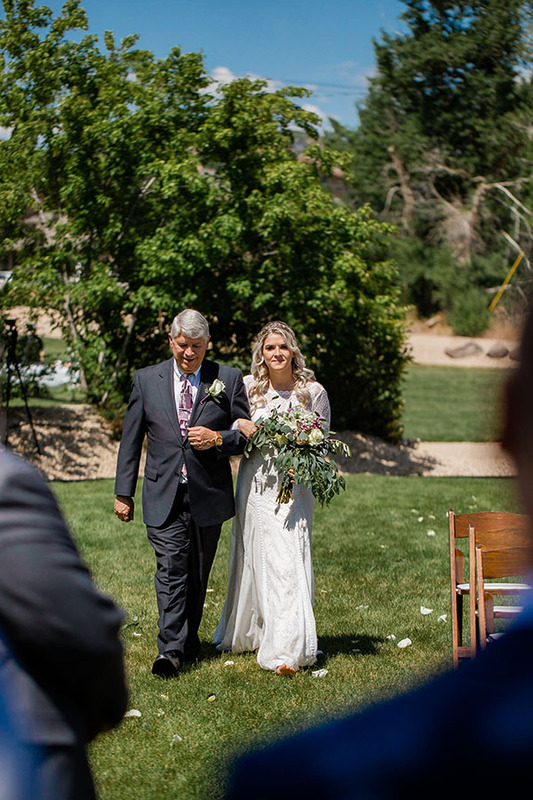 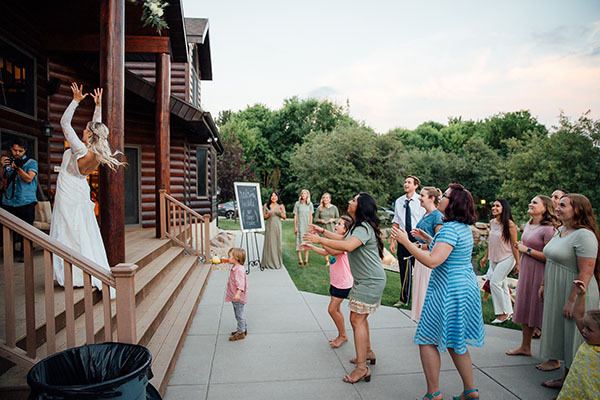 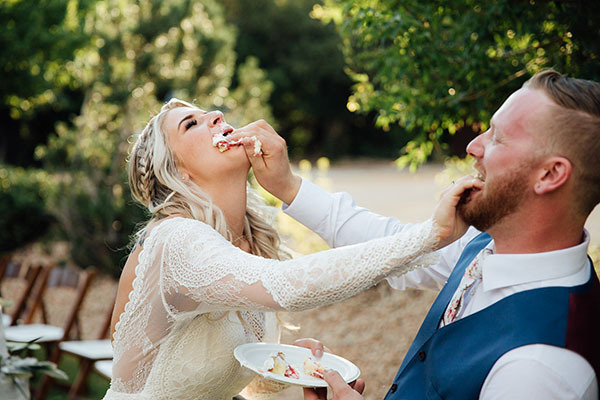 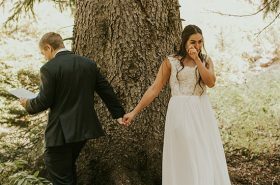 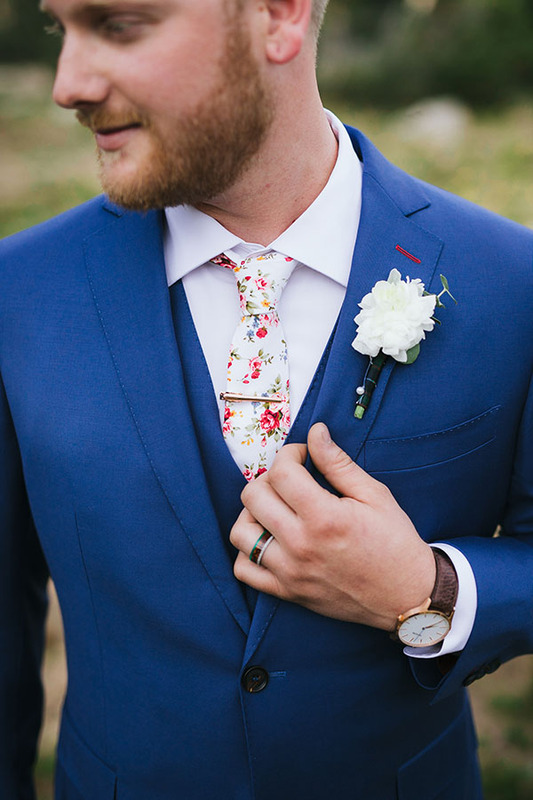 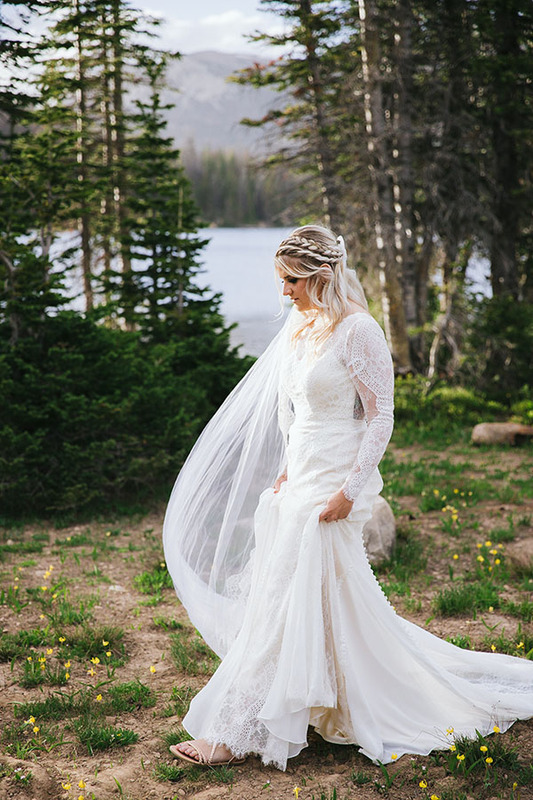 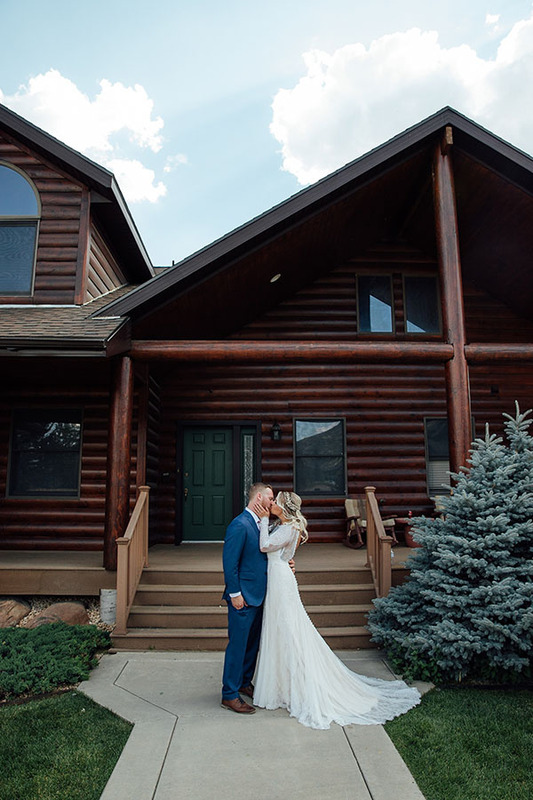 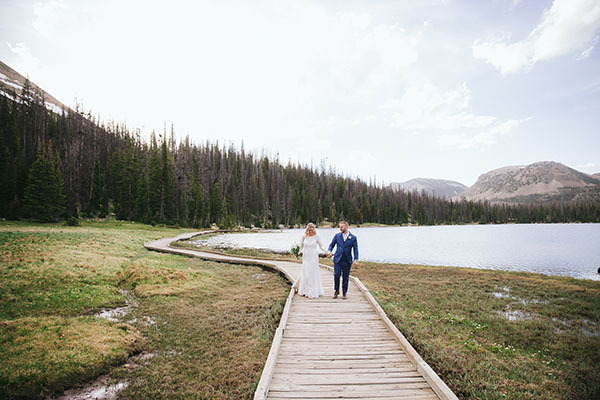 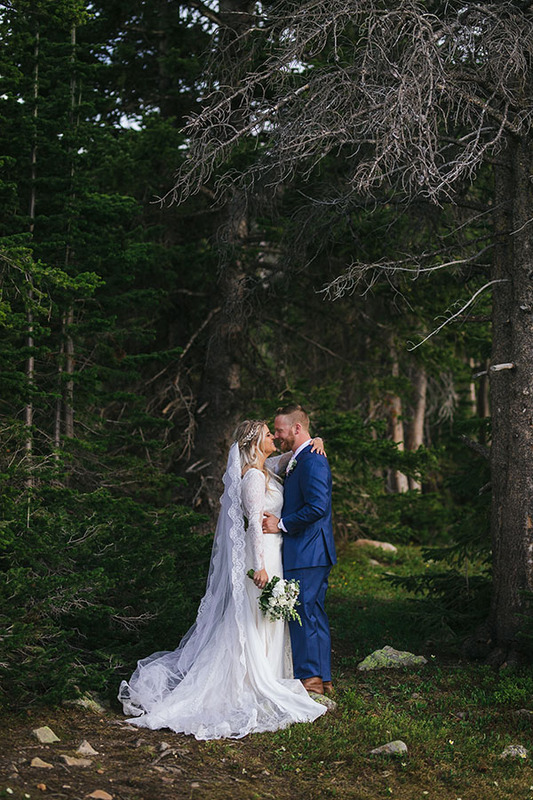 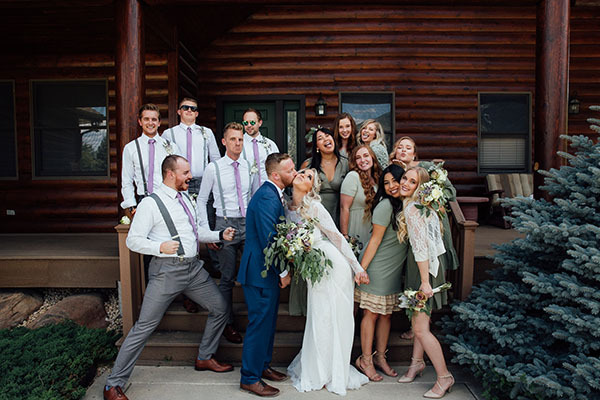 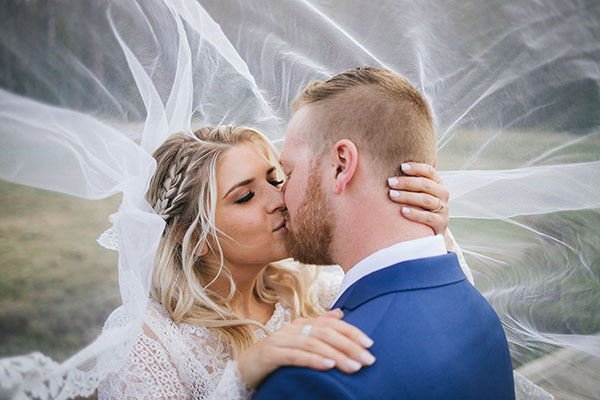 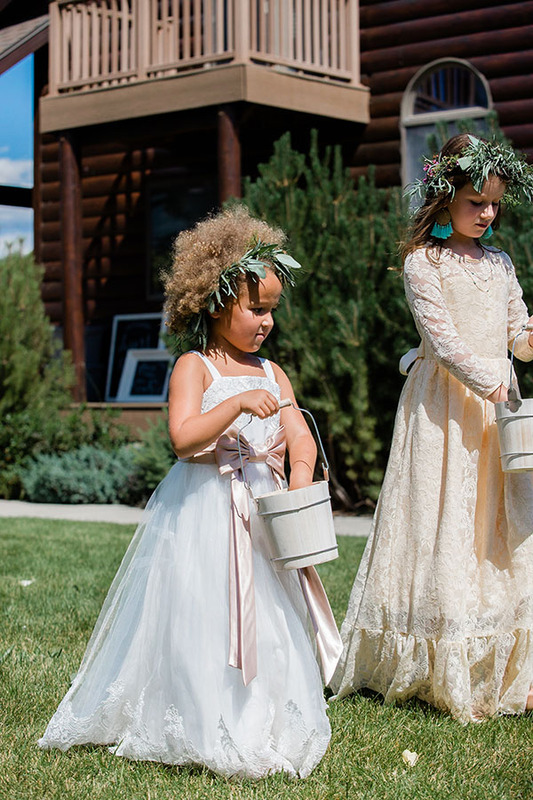 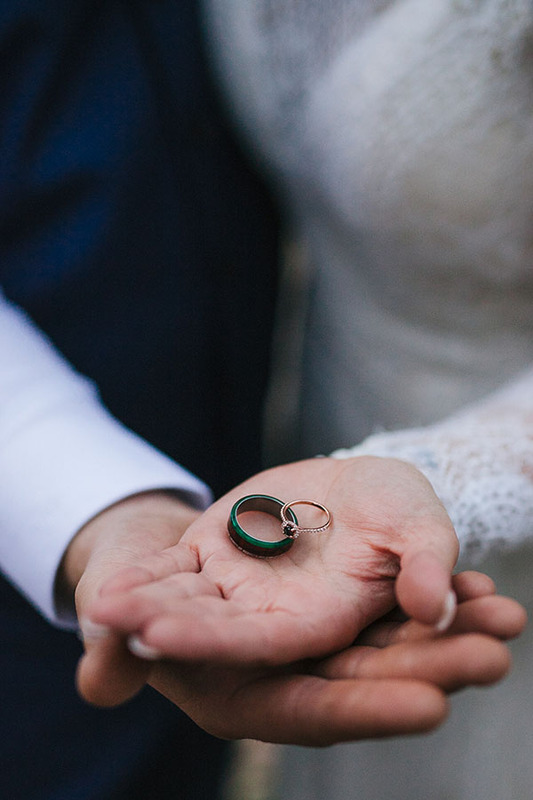 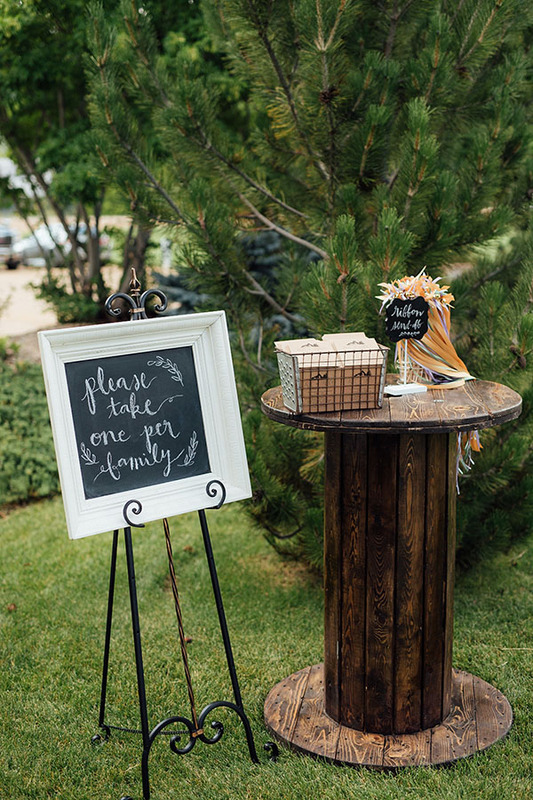 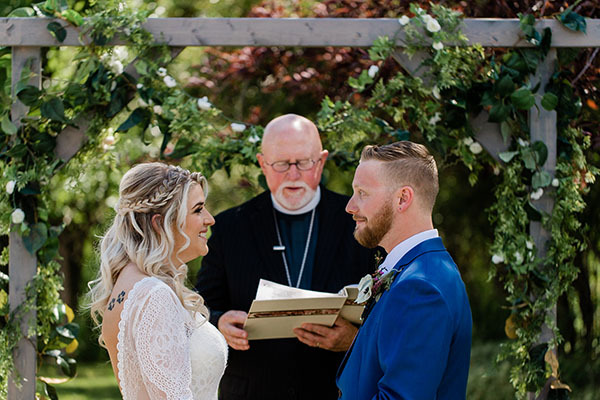 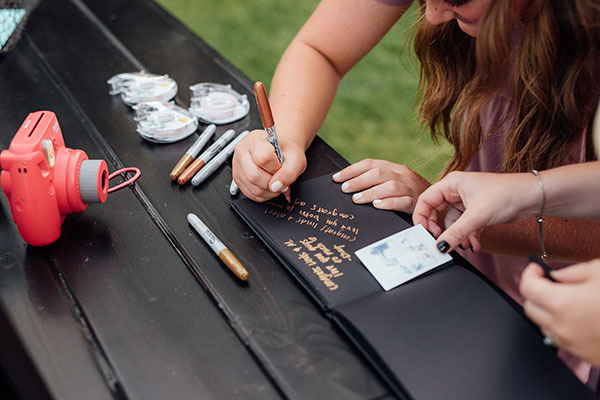 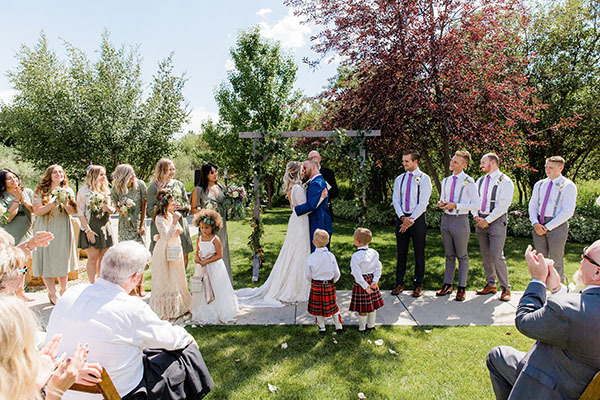 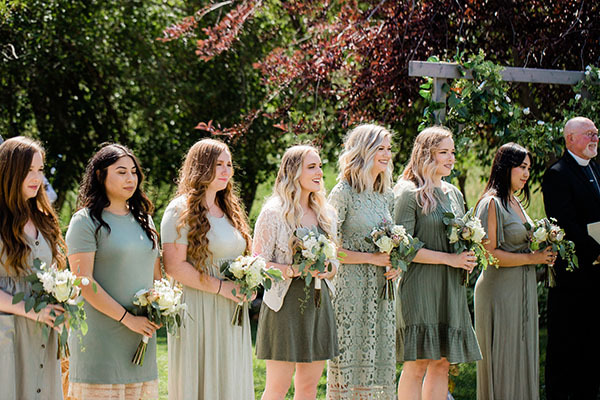 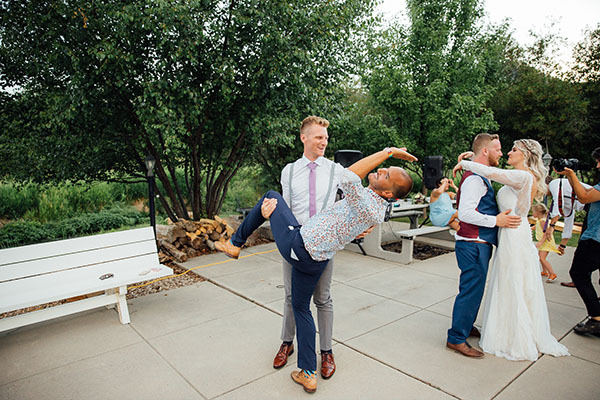 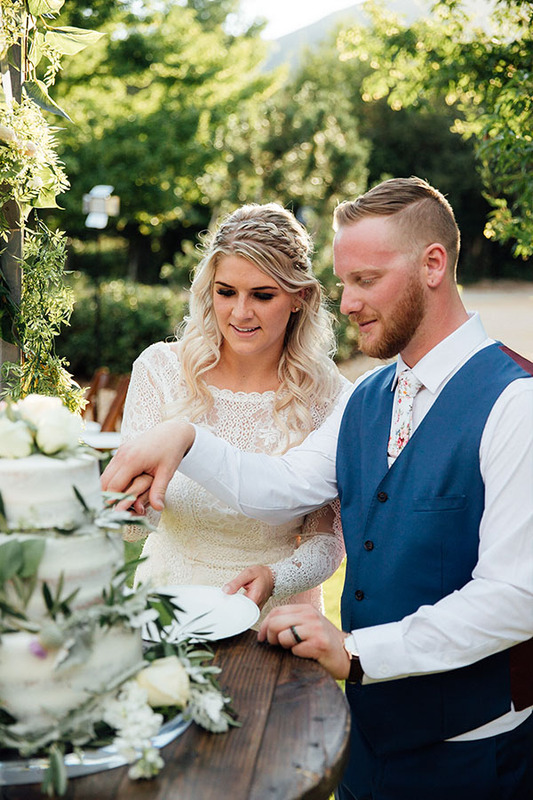 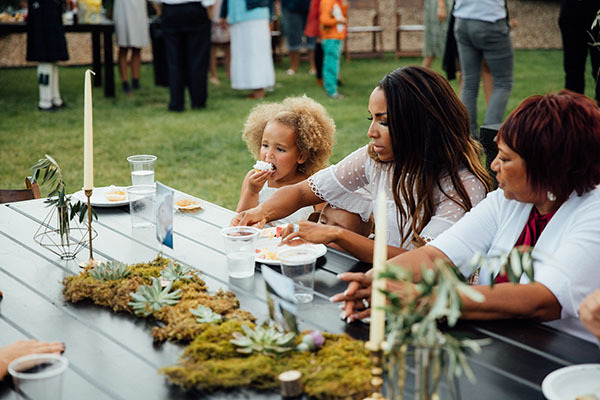 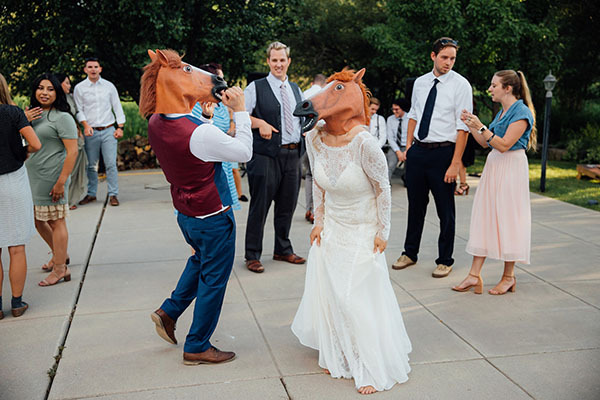 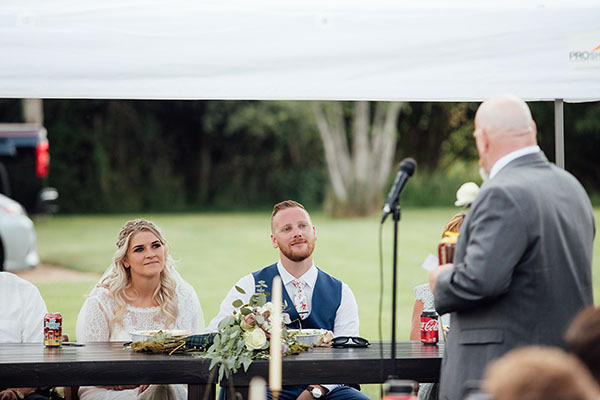 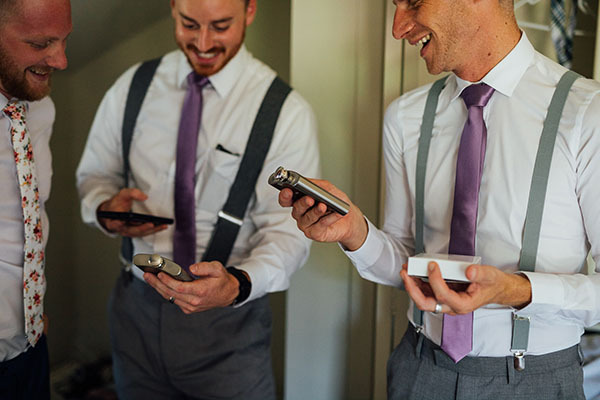 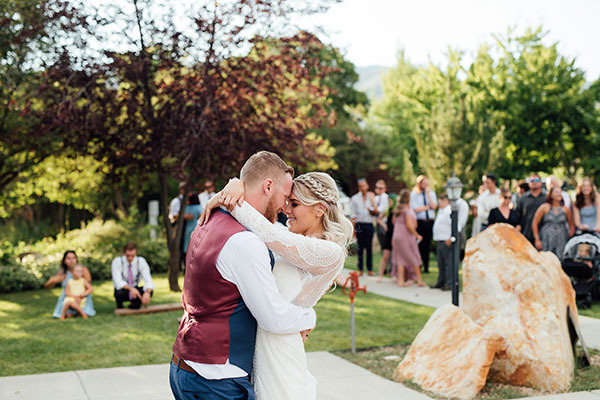 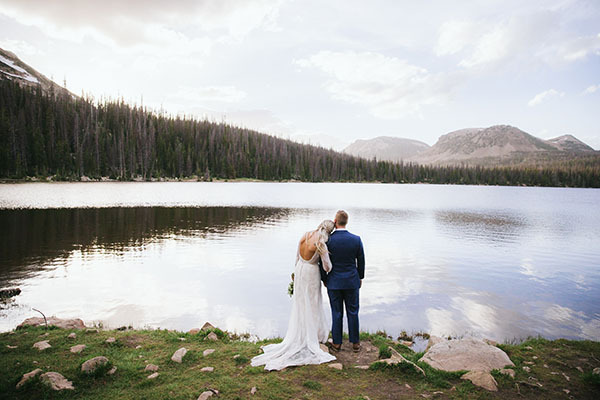 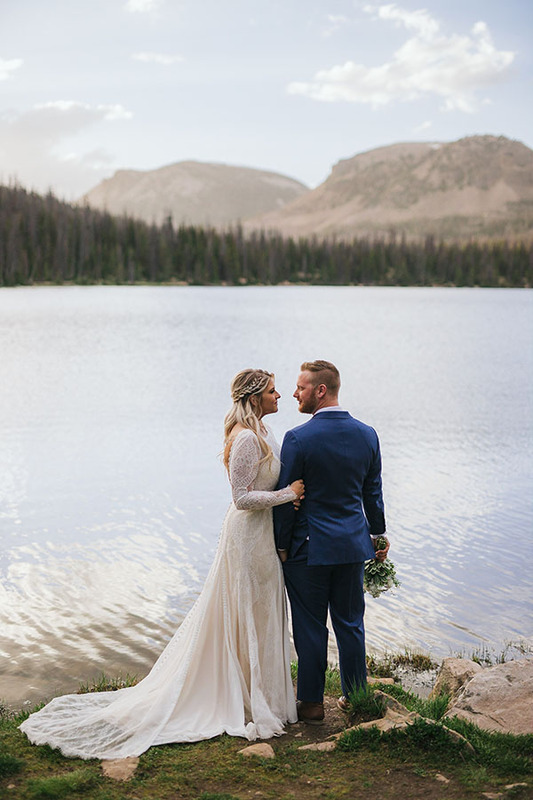 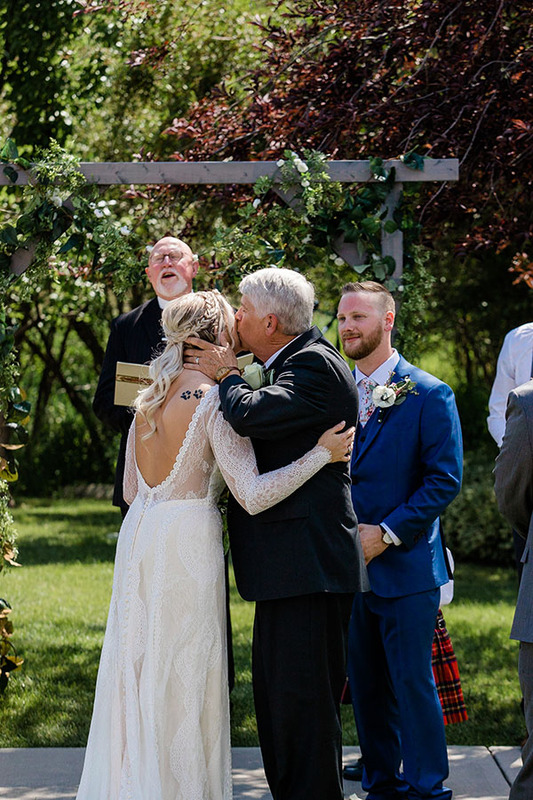 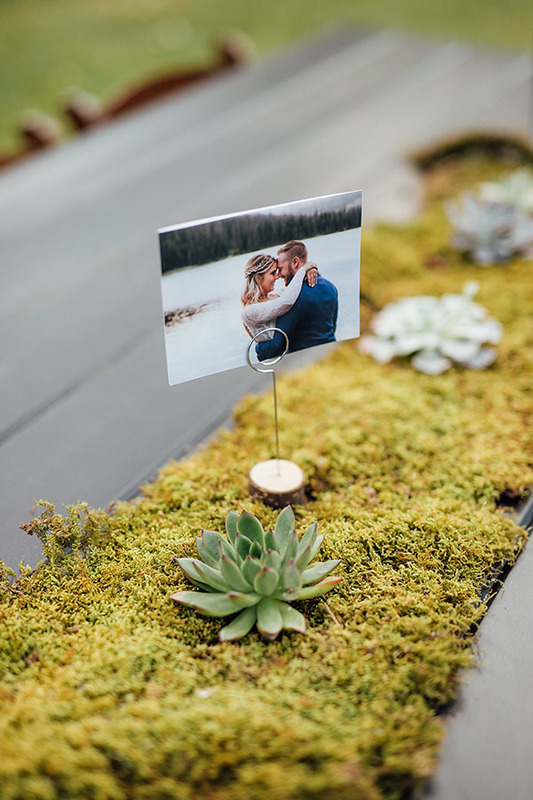 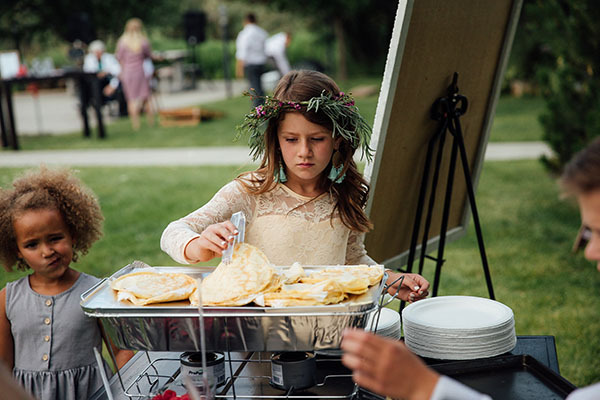 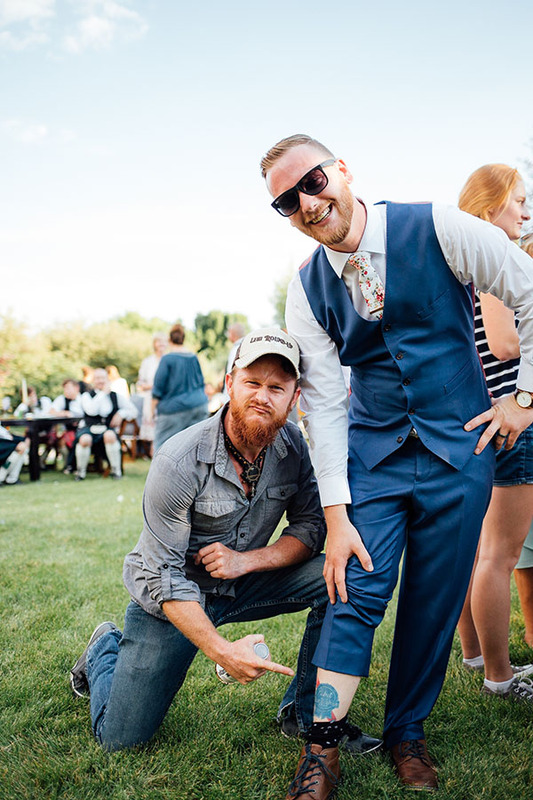 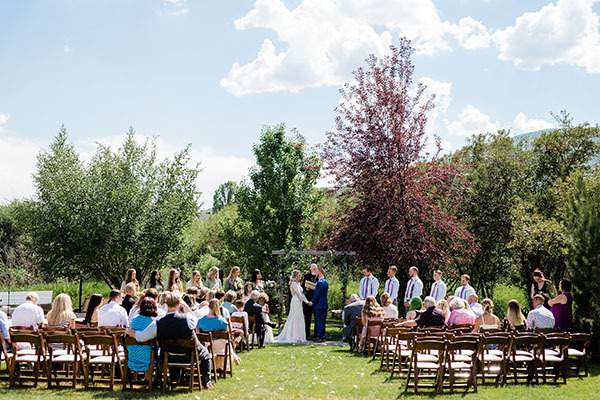 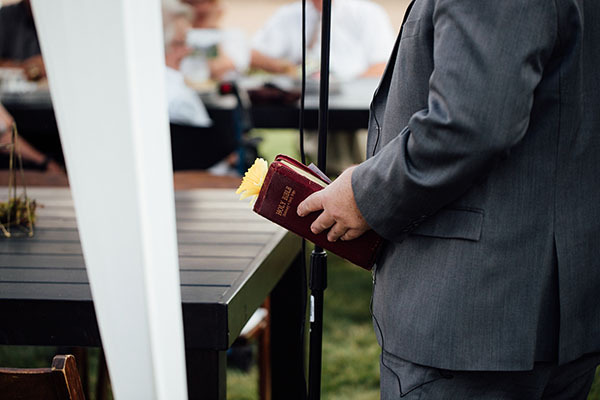 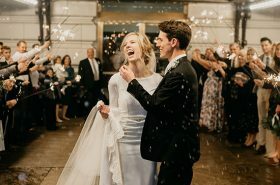 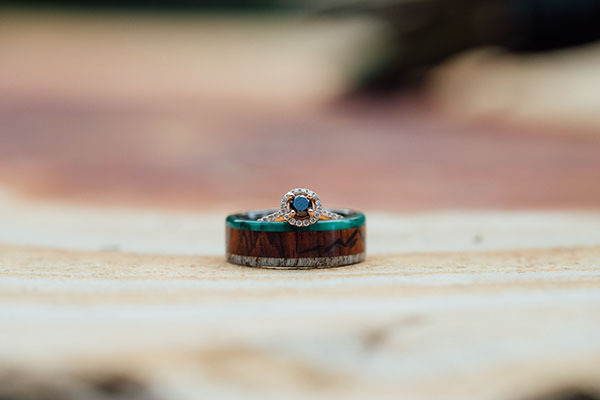 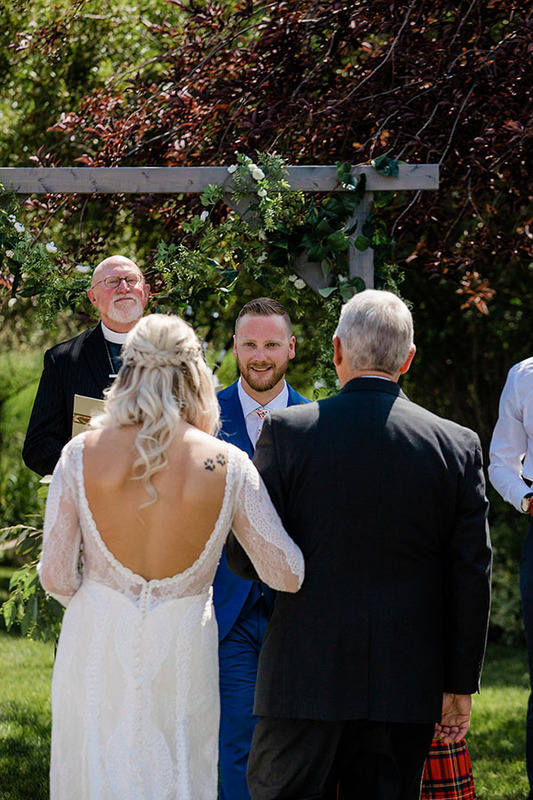 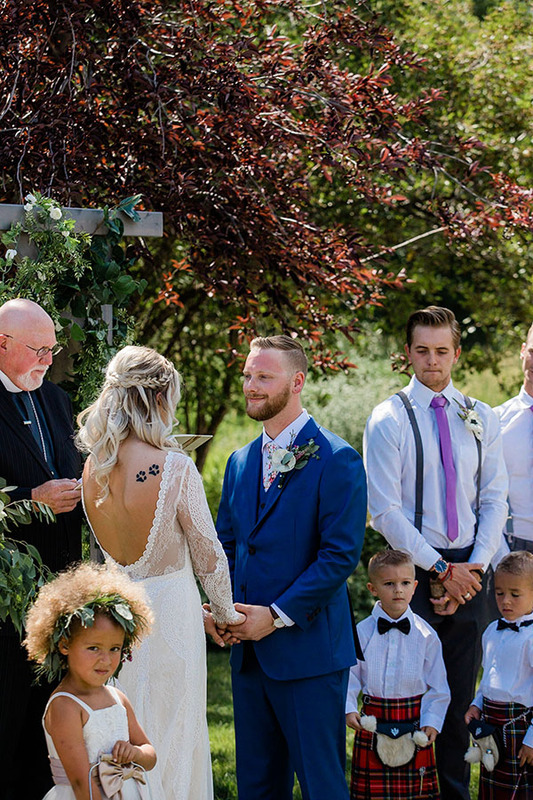 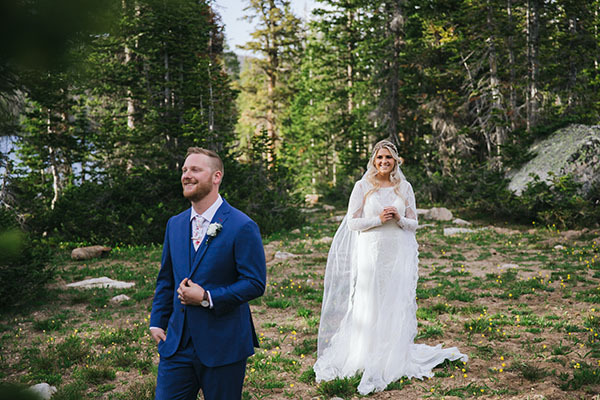 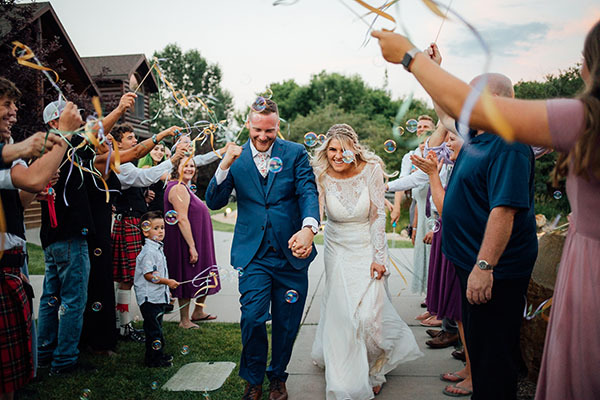 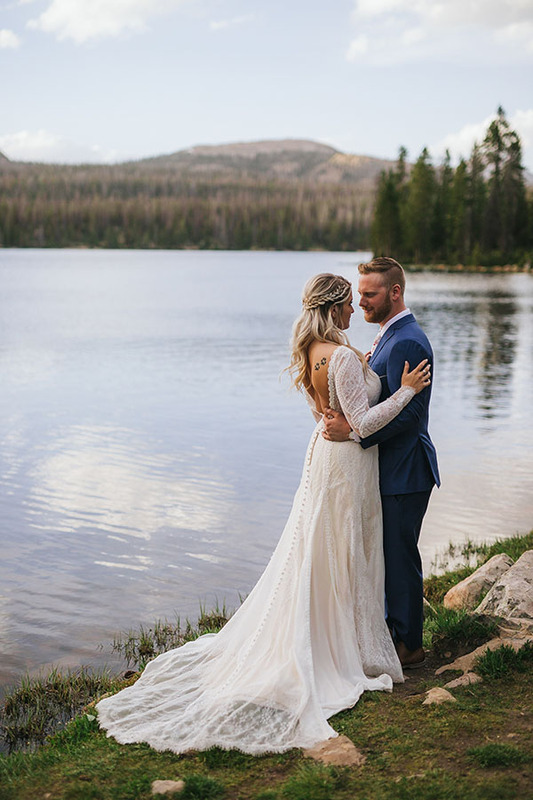 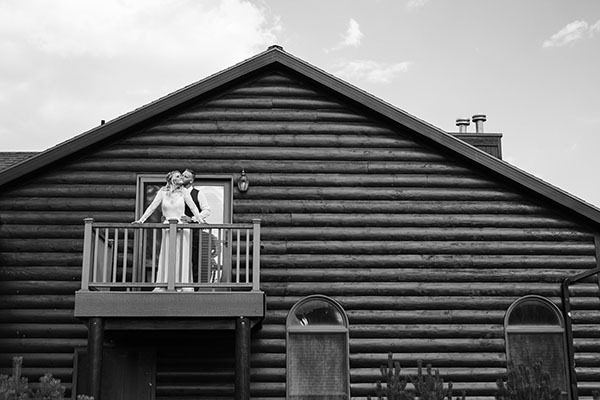 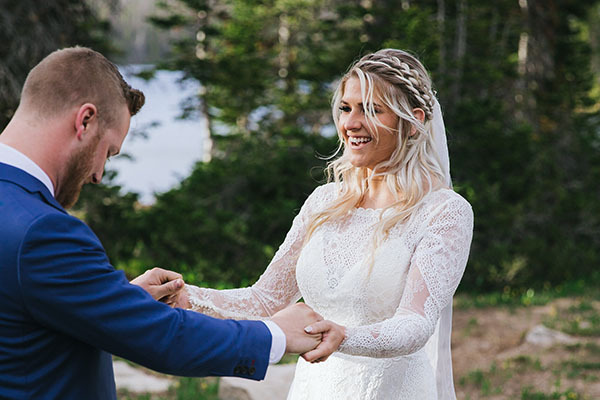 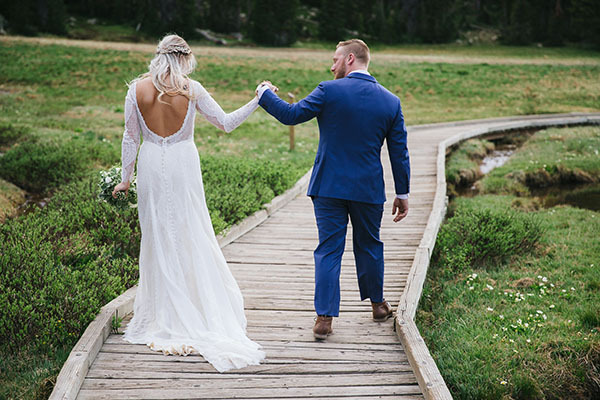 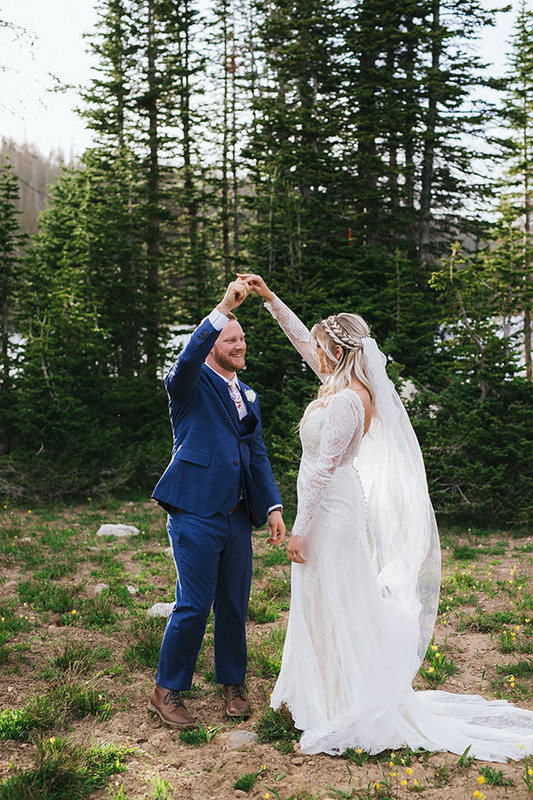 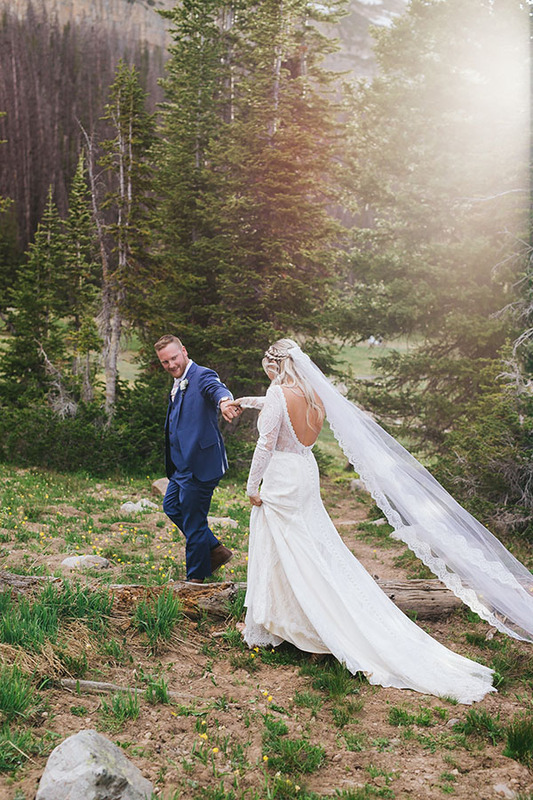 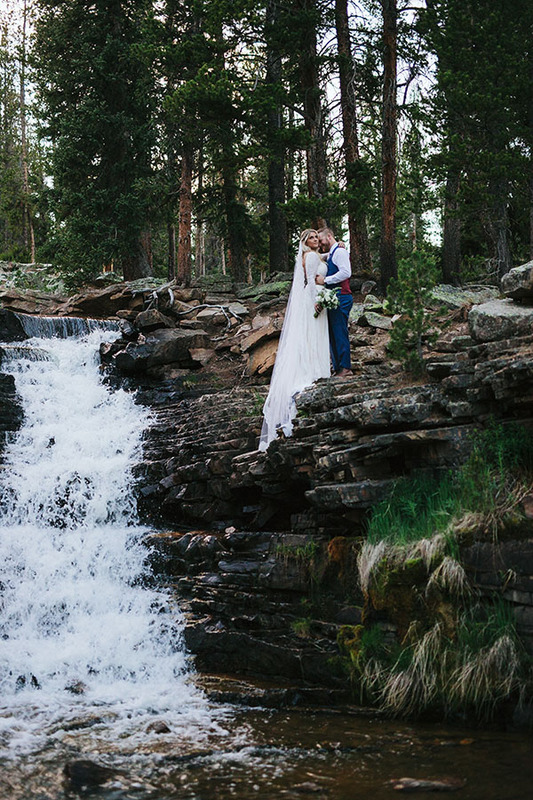 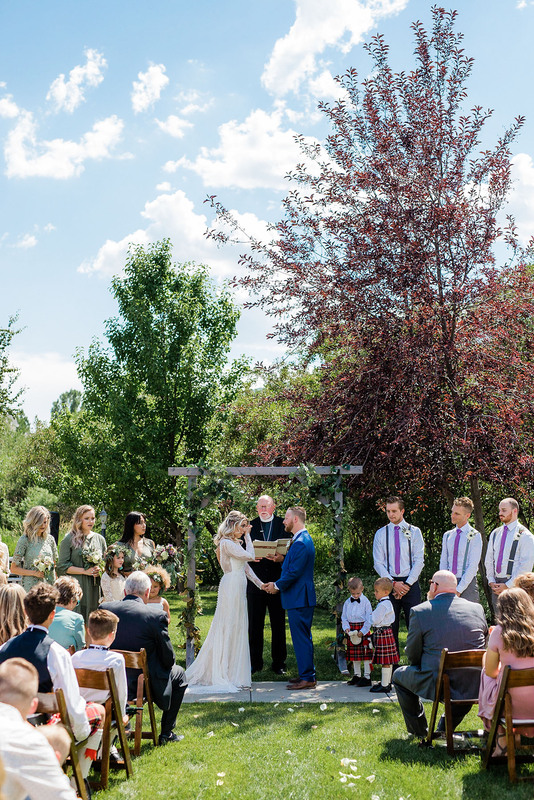 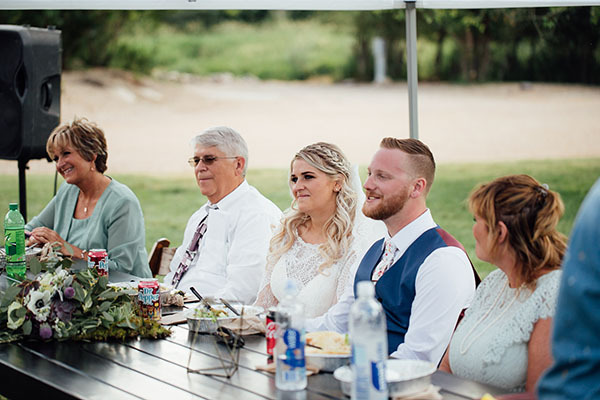 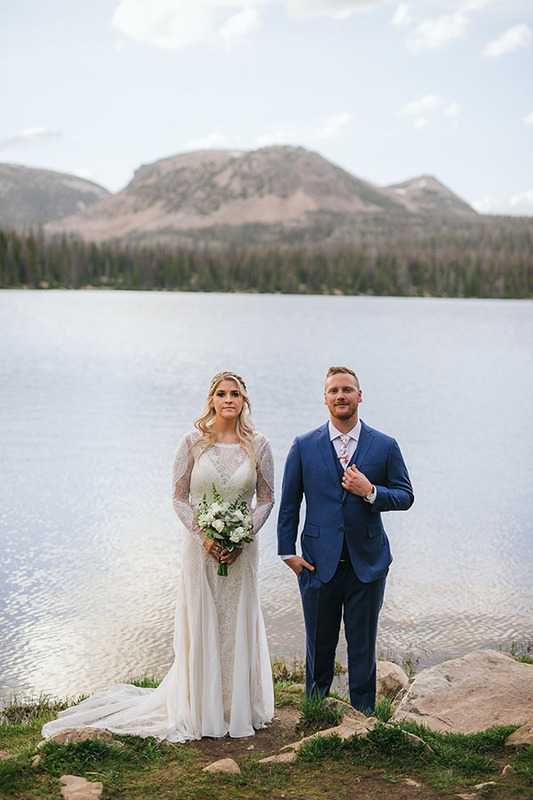 They wed at Alec’s family cabin in the Utah mountains — and the wedding was full of sentimental touches. 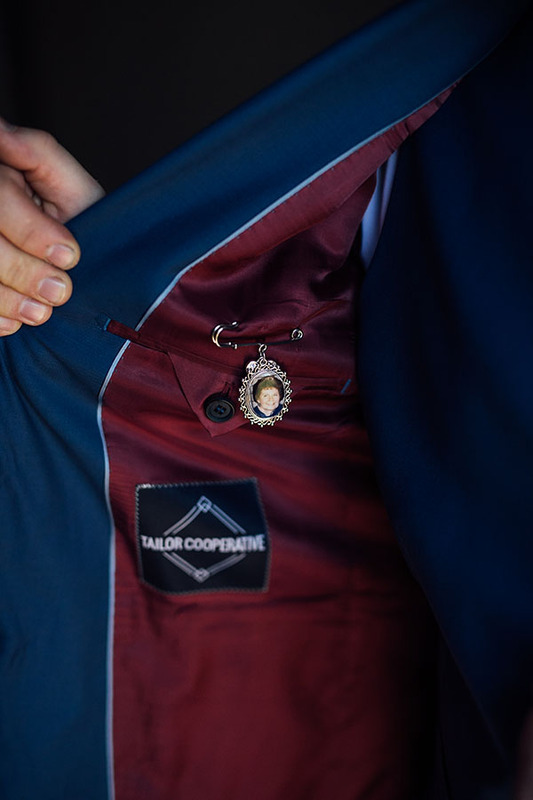 Alec’s mom gave him a pin to wear on the inside of his jacket with a photo of his late Grandmother. 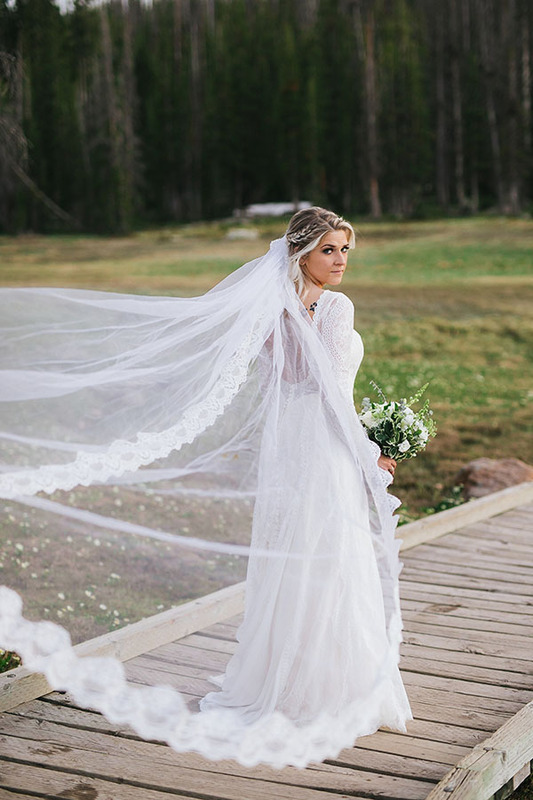 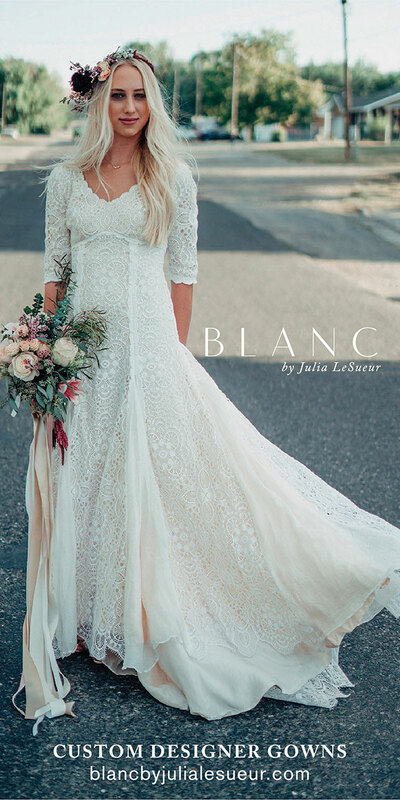 For her part, Lindsey wore her mother’s wedding veil from ’70s, and she wore Alec’s grandmother’s wedding and engagement band from the ’50s. 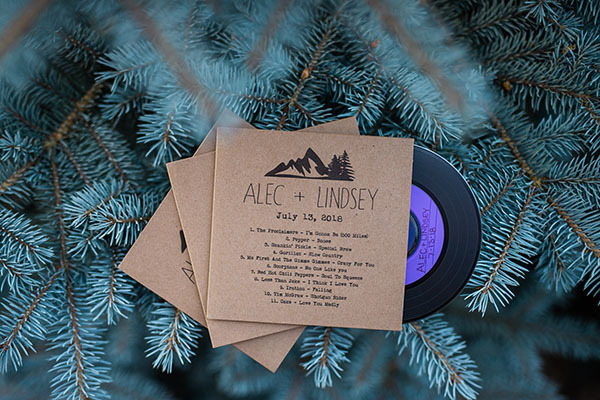 Congrats, Lindsey and Alec! 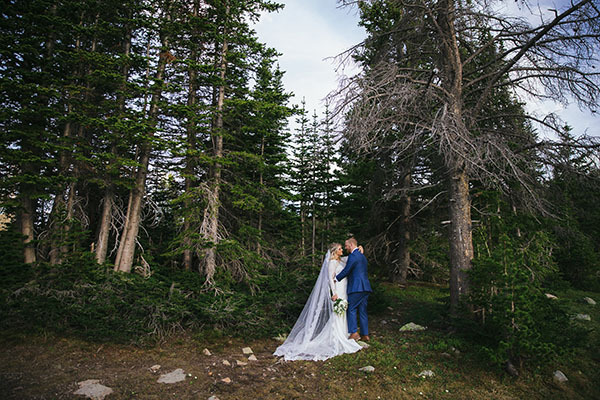 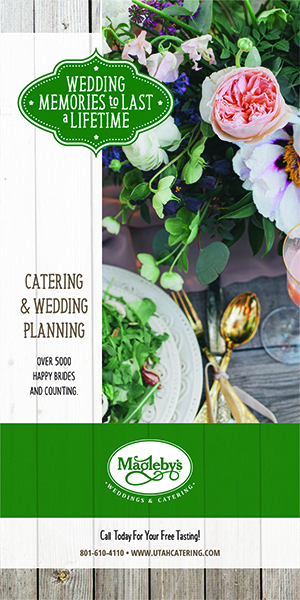 Thanks for sharing your beautiful day with us.